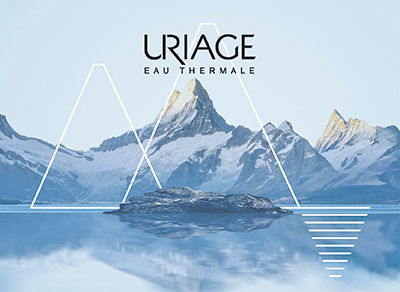 Uriage has been meeting the needs of sensitive skin for over 20 years, capturing the unique benefits of Uriage thermal water and presenting it in tactile and nourishing formats. Supporting skin throughout its lifecycle, regardless of age and skin concern, Uriage offers internationally renowned dermatological expertise and the most advanced technological developments. From spring to skin, Uriage presents products with efficacy, safety and innovation at their heart and a wealth of biotechnologically advanced patented ingredients, ensuring each formula responds to the unique needs of all skin types.